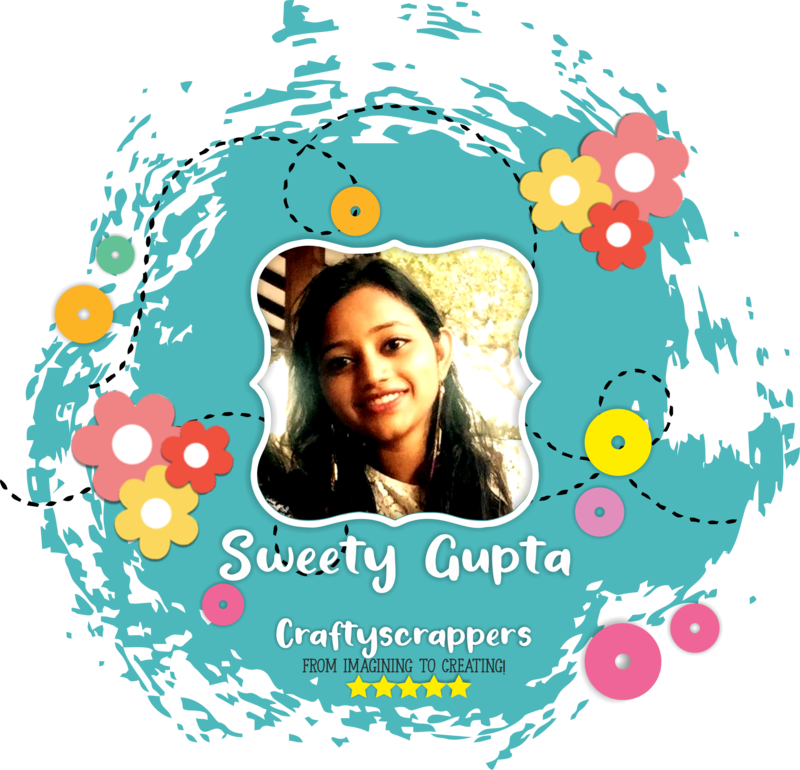 DT MEMBERS – Arts n Crafts supply store in India! 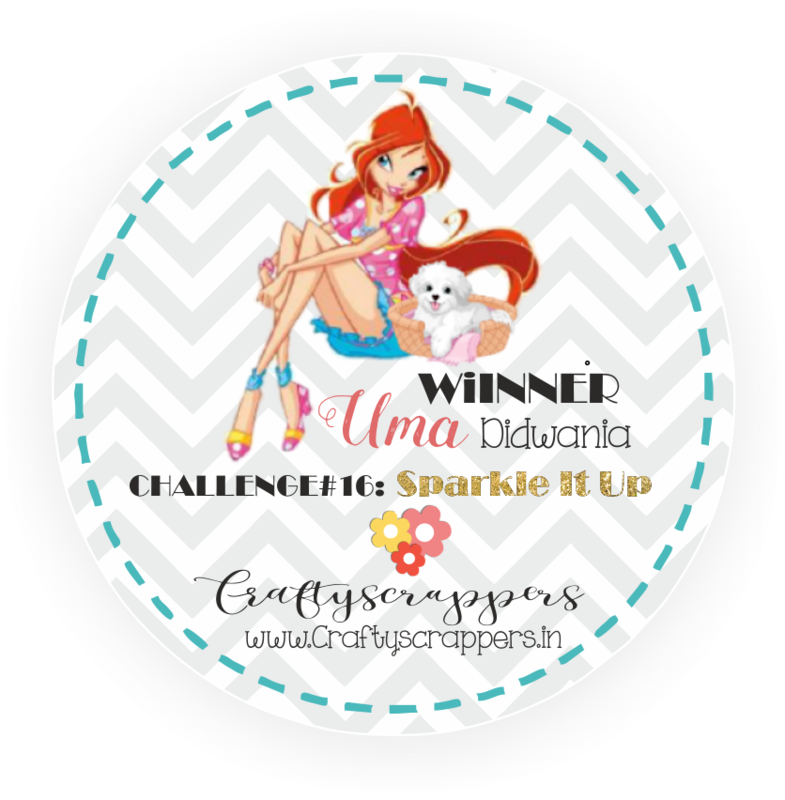 YOU ARE A WINNER Stamp set from craftyscrappers. 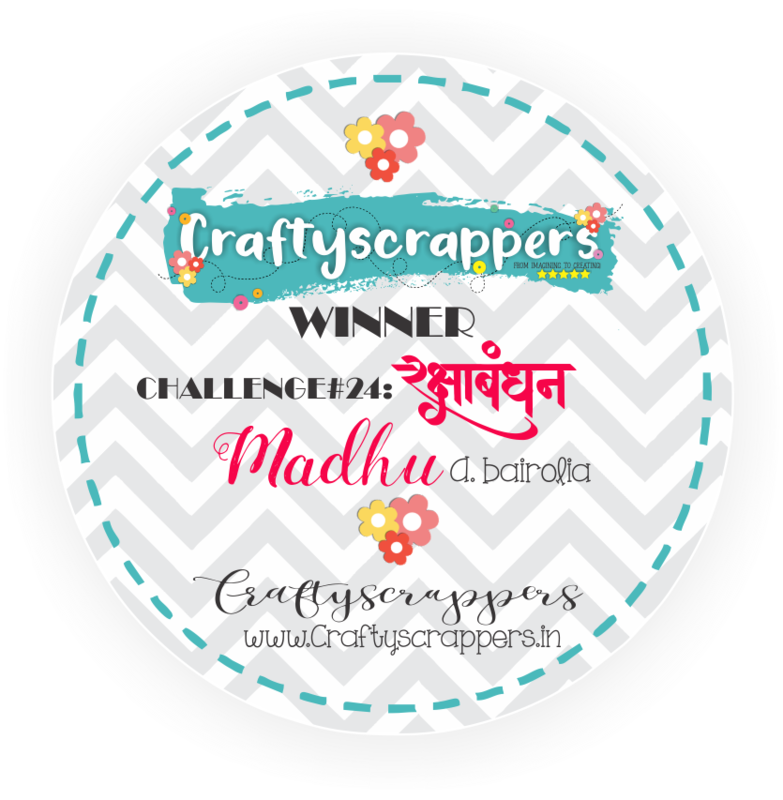 Other than the stamp set, i have also i used craftyscrappers mini stencil, Bricks stencil to create the background of my card. Then i cut the cardstock in zigzag manner to show the crack. I stamped and colored the image of the boy and chainsticks using camlin brush pens and fussy cut it. Next i adhered the fussy cut images to the cardstock . I stamped the sentiment ‘slice it up’ from same stamp set and heat embossed it. adhered the entire panel to the white card base. COLORFUL SUNBURST “NEVER CHANGE” STAMP CARD: a video tutorial! 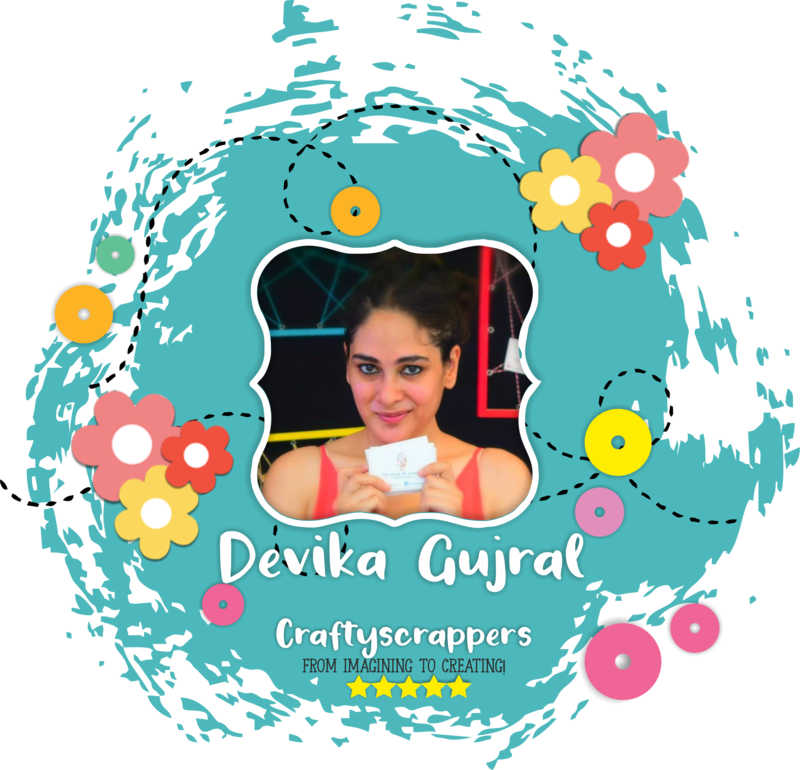 with a beautiful video tutorial where i will be showing you how you can make a colorful sunburst card using craftyscrappers stamp set,”never change” along with Craftyscrappers stencil,”create-a-scene(sunburst). 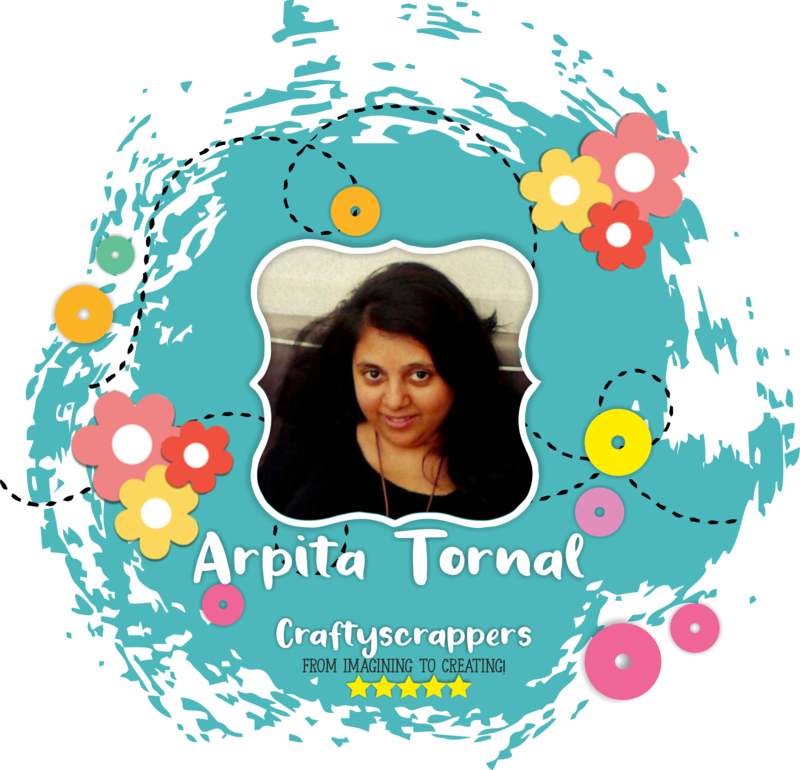 But before i begin, Let me remind you,This month is very special as Craftyscrappers is celebrating their 5th Birthday! 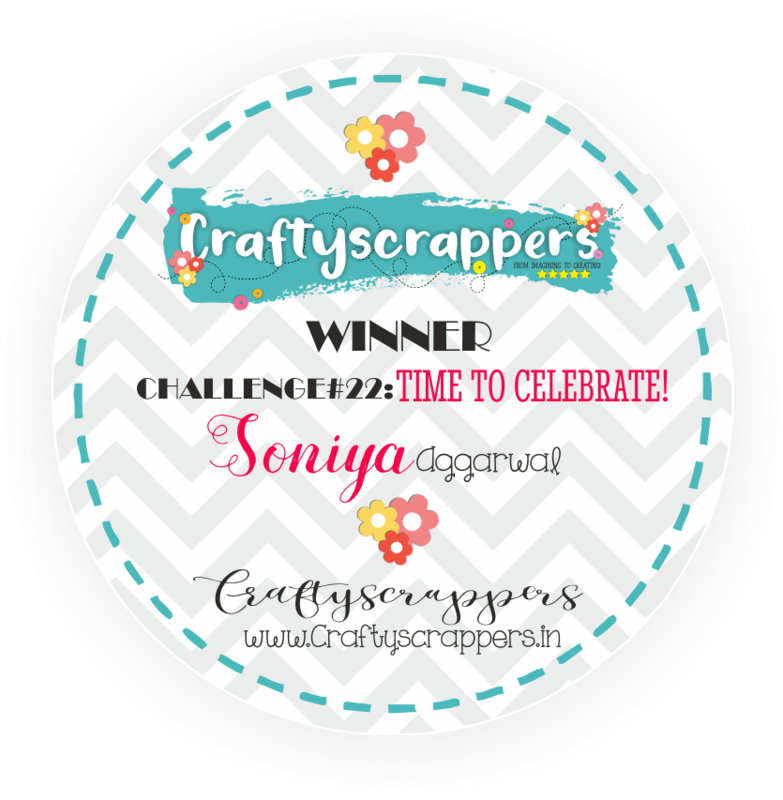 and i wish Konica and the entire Craftyscrappers team a great birthday..May you guys take Craftyscrappers to new heights!!! 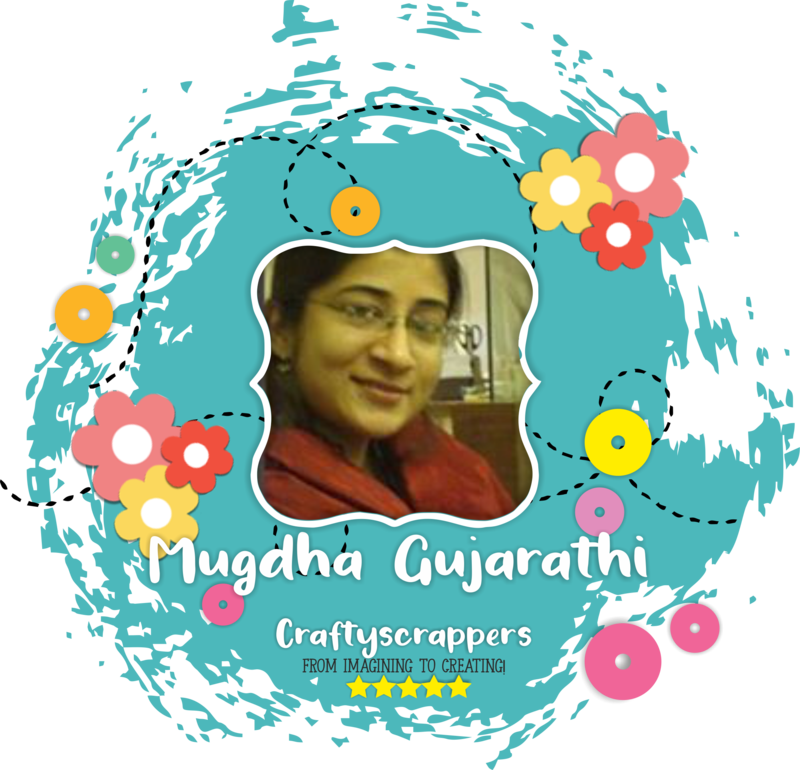 And It’s hard to believe that my DT term is about to end already and this is my last post as Craftyscradesign Team member.. 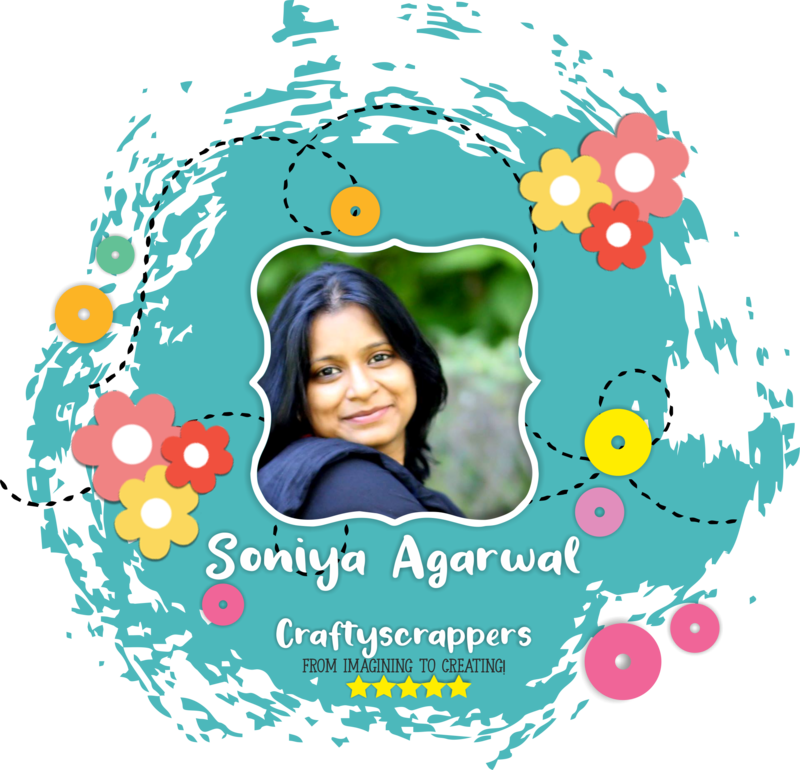 I really enjoyed my stay here…it was great working with you Craftyscrappers and Konica,You were very supportive all this way. Thank you so much for making me part your wonderful journey. 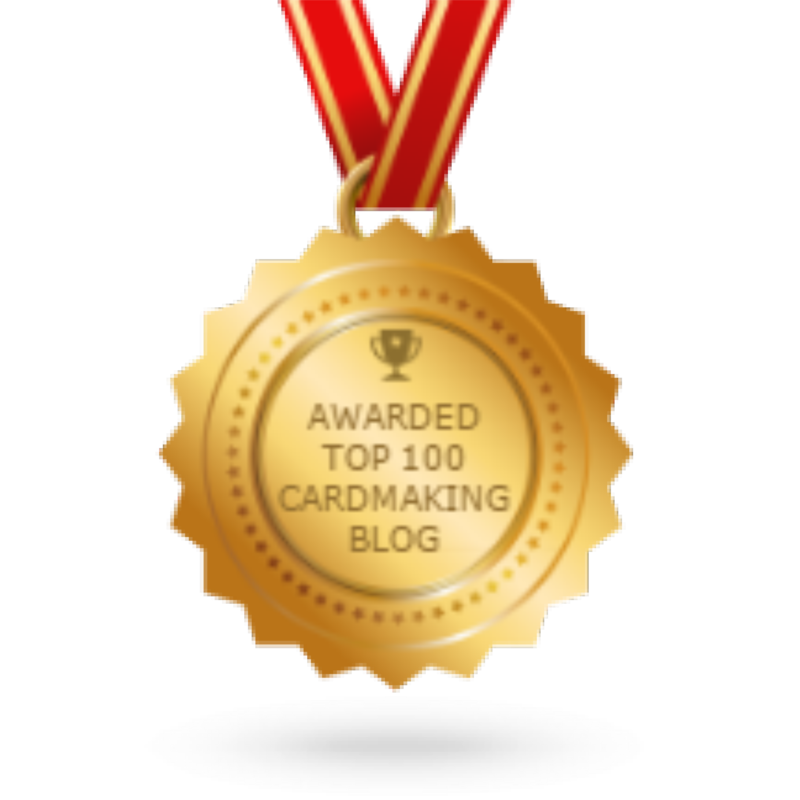 I want to thank Konica once again for this wonderful opportunity..
You are a GEM Konica..!!! So thats all from me today! 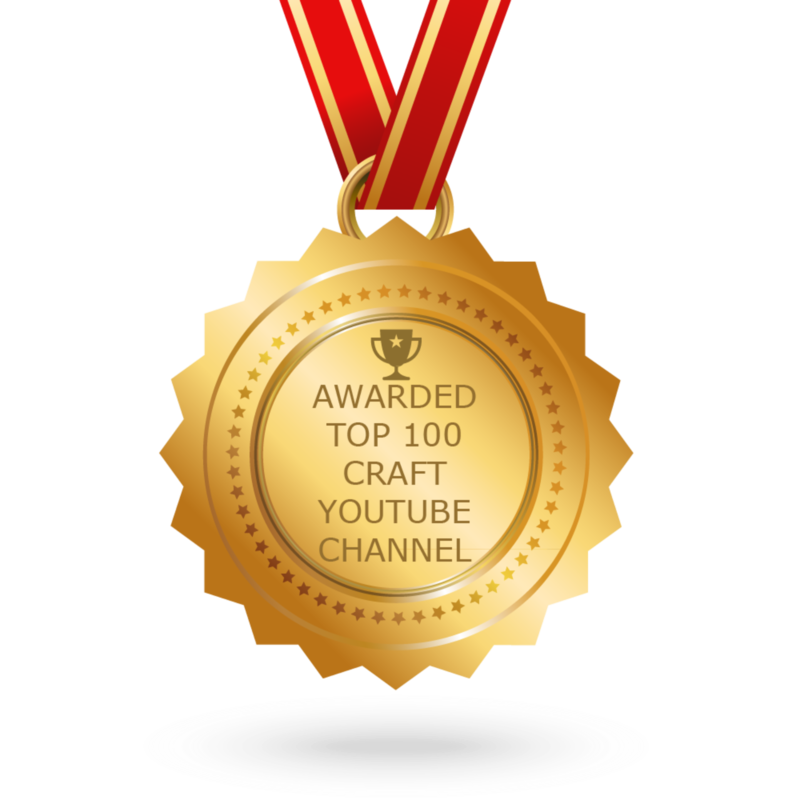 Looking forward to your creations for the challenge. 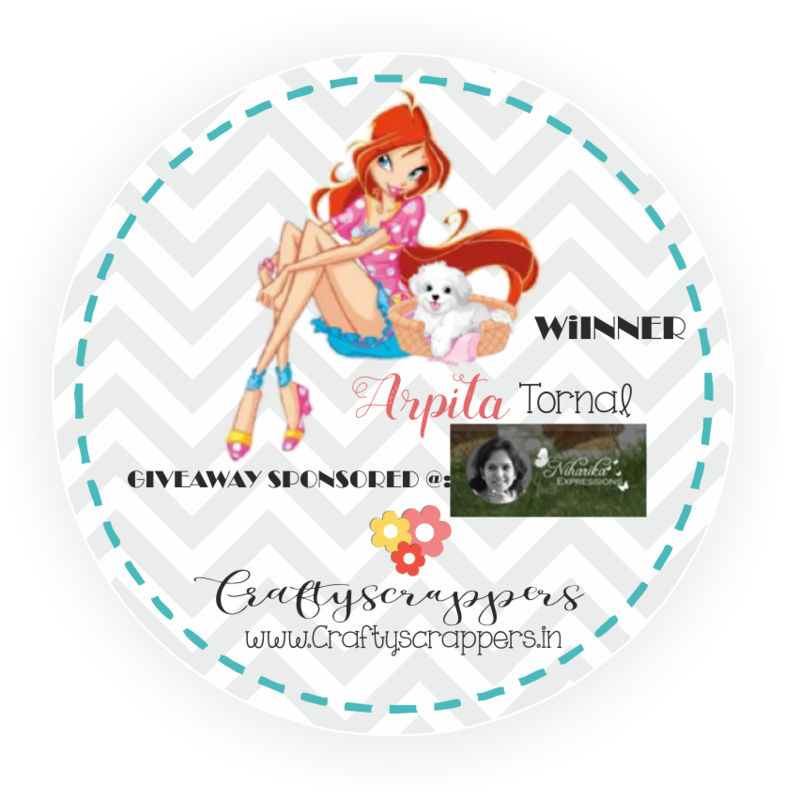 Do check out the awesome giveaways shared on FB and Instagram. Do leave some love in the comments below. MIXED MEDIA ALTERED SHADOW BOX USING SHIMMER SPRAYS: A step-by-step tutorial. 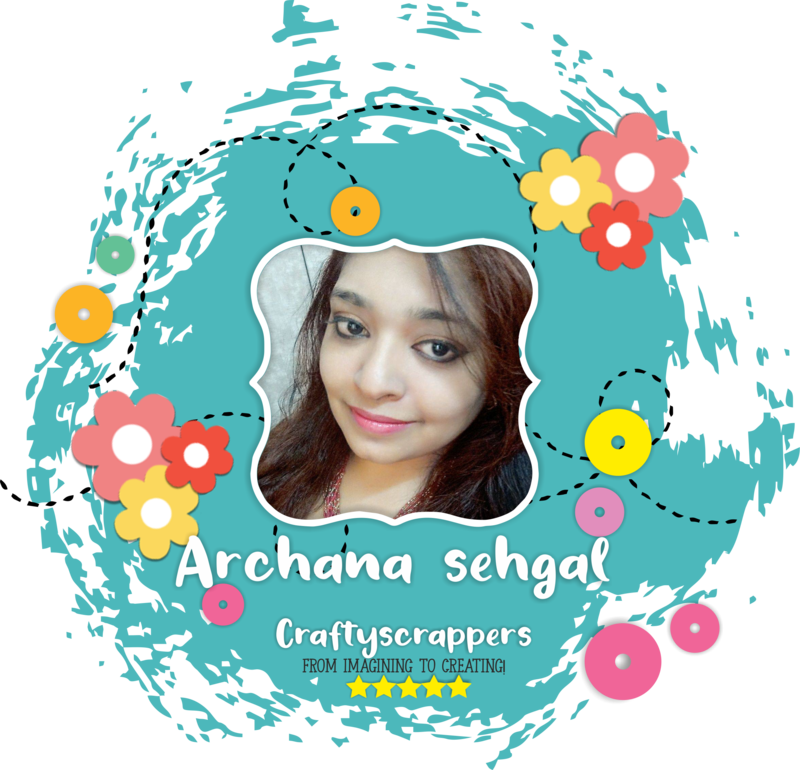 This is DT Archana here, on the blog today. today I have come up with an idea of colorful and vibrant project for you all. The stencils on the other hand are super quality with amazing designs, a crafter has the option to select the sizes, whether small or big and they have lots of mixed media stencils too, not to mention the layered stencils-ohh i love them! And then there are these awesome chalk paints that are also my favorite, you can use them for backgrounds or even use them with stencils to add dimensional touch to your projects, isn’t that amazing!! You can grab all of these at the Sale price over at our store, before the sale ends and the products go out of stock! as accordance with the festival of colors-Holi. And i will be demonstrating you, how i have created this vibrant looking altered mixed media shadow box, from start to finish. Next I took 8 bottle caps and place them into the slots and fixed with the help of glue gun as shown in picture, but here its all up to you to select the slots as needed and also add few more caps if you want. I added melted glue in manner as if its flowing out or dripping out from caps, that’s what my whole concept was, i use hot glue gun to get that effect here, all you have to do is just tilt the project and start adding glue and it will flow down easily…. If you are new to mixed media then gesso is first thing you should have in your supplies list because its a primer, and in mixed media when we add different elements we need to prime those for the next step that is coloring so that those elements won’t absorbs colors, okay so moving ahead, after glue dries completely, I cover entire project using gesso and also added art stones..
(Color order is from Left to right), you can do coloring as you like at different slots with wide range of shimmer sprays available in Craftyscrappers Shimmer Sprays list of items. Added black color shading around the dimensional color flow & also to the outside of art stones, and then added Shimmer paste using pallet knife just to add more shine, sparkle to the project, this step will bind the project together. In this step I distress the edges of heart shaped and wrapped white thread around it randomly & finish this project by adding sentiment from Craftyscrappers stamp set “Holi Sentiments” and also coated corners of bottle caps with black shade just to add extra depth for dripping color shades…. and boom!! your project is ready. Hope you guys have enjoyed this tutorial, I will be back soon with some new inspirational project and art techniques… Don’t forget to check out our previous blog posts for more inspiration and ideas. 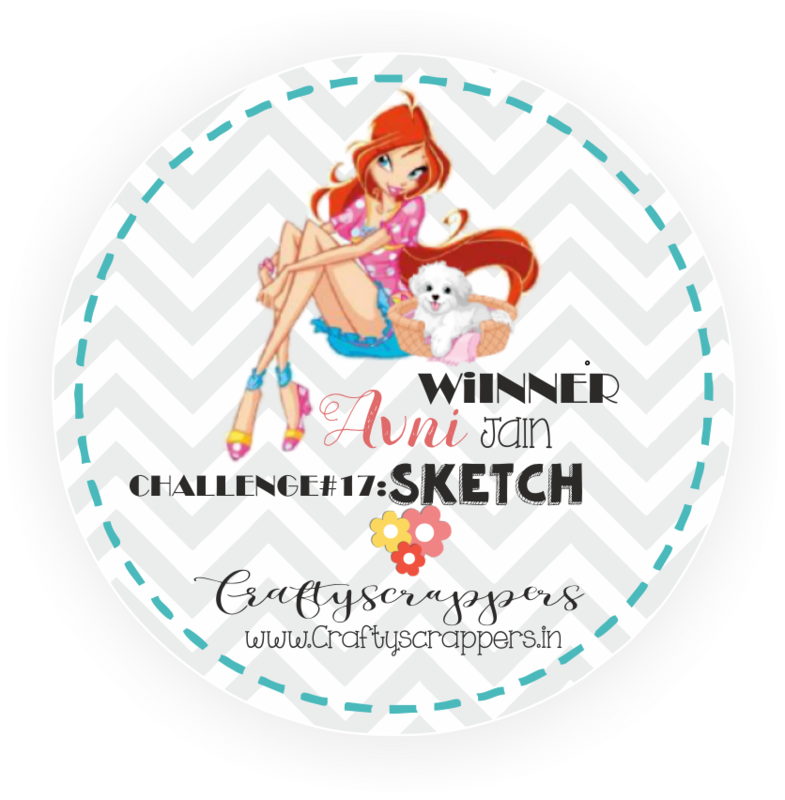 3 ADORABLE CARDS+ A BONUS CARD: a step by step pic-torial. 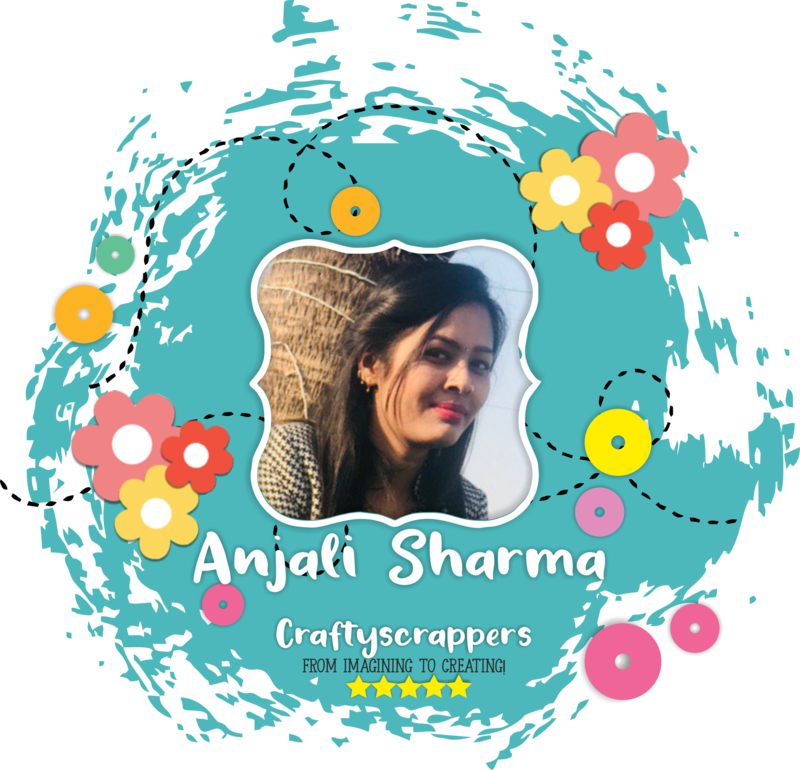 This is Anila and It’s my first DT post for the DT term, with Craftyscrappers and I am super happy to be here. And Today I have Picture tutorials showing, 3 Cute cards plus a BONUS card, using the February released products. Challenge#20,”LOVE IS IN THE AIR”. 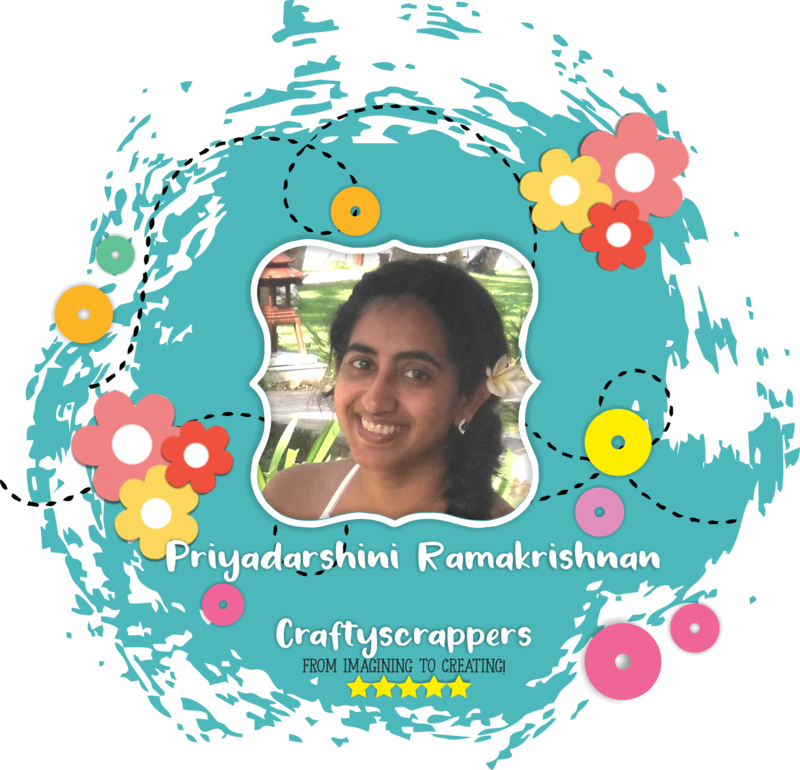 mixed media, altered art, Flower Crafts …anything crafty,With the colors of love in it! To begin with, I took a 4″x6″ card panel. to create a colourful background. Then Trimmed the panel and foam-mounted it on a 4″x6″ card base. On a stitched circle die-cut I stamped the sentiment from the said stamp set. Stamped the image on Canson Montval paper. Coloured the image with zig markers and fussy cut the image. Adhered the circle die-cut on the card base. Mounted the image overlapping the circle using foam adhesive. Lastly, added few sequins to complete my card. For this card, I took a 4″x6″ card panel. using multiple distress inks. Let it dry. Once dry trim the panel to get a 3″x6″ strip. I distressed the entire strip using Craftyscrappers hearts stencil. I took a black card panel slightly larger than this strip and matted the strip on it. Adhered this completely to a white side-fold card base. Meanwhile, stamped the image, colored with zig markers and fussy cut the image. Stamped the sentiment on a white strip. Adhered the sentiment and the image to the card. Lastly, added glossy accents to the heart. For my third card, I made a shaker card this time. Once dry, I stamped the sentiment as desired using my Stampoholic. Prepare the shaker window using a circle die-cut ring and acetate sheet. Fill the shaker elements and mounted the ring using foam adhesive. fussy cut the image and later mounted it on to the card. I was so much addicted making these cards, that i created a bonus card at last. and i have also used the Rays stencil from Craftyscrappers. The bonus card, I made using the Rays stencil and To my Otter half stamp set. This card is made using all the extra supplies that were leftover after finishing the above cards. I have used the leftover multi-coloured strip and distressed it with the Rays stencil using white pigment ink. Matted this strip with silver glitter paper and adhered it to a card base. I have also used all the extra critter images to complete the card. Lightly brushed the Background with Squeezed lemonade Distress Ink before adhering the critters. So That’s all from my end today.I Hope you enjoyed my cards. Do let me know which one is your favorite.